Do you feel stressed and agitated a lot of the time but feel confused about why you would feel that way? If everything in your life is fairly steady, your job is not too stressful and you feel you can cope with what is required of you, you may be at a loss as to why you feel so rotten. Many people describe feeling like a fraud when complaining of feeling stressed when they feel they have nothing to ‘stress about’ and so tell themselves to ‘pull yourself together’ or ‘it could be worse’. You might be feeling the physical impact of stress on your health or uncomfortable symptoms or you might be noticing the effects in feeling short tempered, agitated, or struggling to sleep. Either way, your experience of stress is valid and important to address as you are most likely suffering from hidden stress. Hidden stress is caused by triggers that cannot be seen or identified in the external world. Where we normally think of stress as being triggered by events around us such as being stuck in traffic or an interaction with our boss, events inside of us are often ignored. Hidden stress relates to our response to all the stress triggers that come from within us – our self-critical thoughts, our worries, our lack of confidence, our passive or people pleasing tendencies, our frustration at our reactions and our pessimistic outlook (to name just a few). Any of these hidden stress triggers create the same stress response as does anything in the external world. But because this is all happening within our own heads, it so often goes unnoticed and so we are left with the feelings of stress but believing these have ‘come from nowhere’. If you are critical to yourself in your own thoughts, it has the same impact on you as it would if a friend or colleague said the same thing. When it comes to the symptoms of stress, many people have a sense of ‘I have it today’ or ‘its a bad day’, but haven’t linked this to recognising the triggers. If you think you could be suffering from hidden stress, try keeping a log for a day or a few days and noticing what thoughts you have, what worries you have and when you beat yourself up. If you notice the symptoms of stress, ask yourself what has been happening in your day, what could have acted as a trigger to stress? 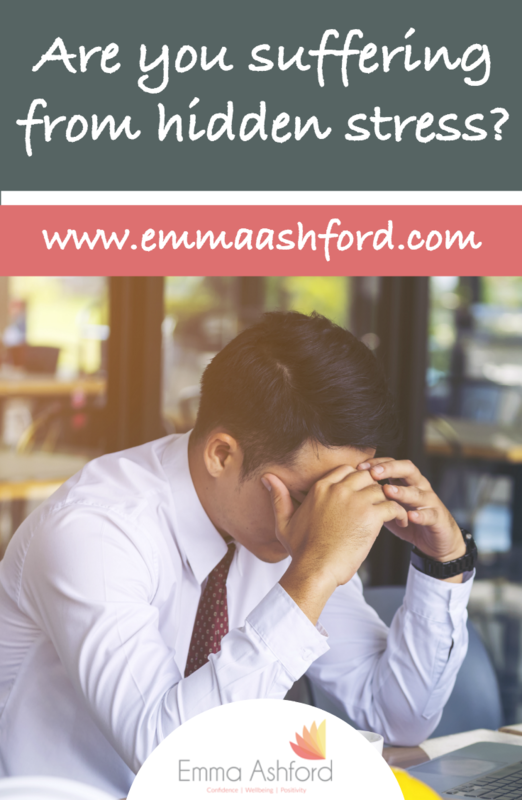 These hidden sources of stress are in many ways the most important to tackle and change – after all, you cant escape your mind so you may as well make it a reasonably healthy and settled place to be.